Home / Digital Marketing / Will Affiliate Marketing Still Be Effective in 2019? In the world of online commerce, affiliate marketing has long been seen as a win-win situation for the three parties involved: the producer, the marketer, and the consumer. The producer of the product or service achieves higher sales through extra promotion; the marketer promotes the product in exchange for a share of the profits they generate, and the consumer is linked up with new and exciting products they might not have otherwise come across. But, with more sophisticated marketing techniques emerging at the forefront regarding ROI (return on investment), is affiliate marketing going to lose some relevance as we head into 2019? The article explores the effectiveness of this marketing method, examining whether it remains a win-win for all involved. For small and medium-sized businesses, there’s a particular aversion to risk that means you’ll always be checking the ROI on any marketing campaign that you happen to run. In many cases, you may see marketing campaigns that are costly as simply too risky: they’ll cost a chunk of your expendable cash that you might want to save to develop your business differently. That’s one of the chief benefits of affiliate marketing, whether in 2010 or 2020: it’s risk-free. You only pay money to those promoters who achieve sales, and so you’ll be able to guarantee that your affiliate campaign won’t be a stab in the dark. Yes, you’ll not be getting 100% of the profits from the sales, but you’re essentially employing a digital salesperson on commission, something acceptable to most small or medium-sized enterprises. There can be no doubt that affiliate marketing is a way to get your product or service seen. But is it the best way to do this in terms of either sales generated or money saved on other forms of marketing? While some marketing agencies can help you answer this question, there’s always going to be a gray area where you fail to understand the success rates of your exposure attempts. Be an individual or business that you trust. Have a legitimate reason to be promoting your brand, product or service. Have an audience that you’re looking to target. Have a large enough audience to set up the win-win situation highlighted above. Be willing to discuss with you the modes of promotion they choose. 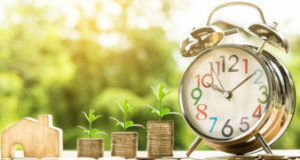 As all small or medium-sized business owners will be more than aware, time and money are usually quite scarce as you attempt to expand your company’s horizons. That’s because you’re reinvesting your profits, you’re scaling, and you’re developing your brand and product in light of the feedback that you receive. Any marketing campaign that you set out, you’ll want to be time- and cost-efficient. You’ll not be incredibly interested in outsourcing to a marketing agency, as this will cost you dearly. You’ll likely not have the human resource capacity to dictate to your own marketing team. In the middle ground lies affiliate marketing, cutting cost and time expenditure by outsourcing to another individual, who you agree to share the profits of your sales with. Indeed, even though it is regarded as low-cost, affiliate marketing is so advisable that it’s worth considering getting a cash advance in the form of a commercial loan to pursue your successful marketing strategy in this way. Just remember that interest rates on business loans can be cumbersome, so make sure you’re getting the ROI to quickly pay back what you owe once you’ve produced your affiliate marketing strategy. Affiliate marketing is essentially partnering with a number of digital sales representatives. You might be producing a hair product, in which case your affiliates will be YouTube bloggers, Instagram influencers, and maybe a celebrity or two. For them, your product will resonate, and their audience will take that on board in their decision to buy from you. It’s a smart, flexible and smooth form of marketing. But how does it compare with some of the new and emerging techniques we see in the present day? For instance, it’s generally agreed that programmatic marketing will continue its rise into 2019 and beyond. Programmatic marketing places targeted advertisements in front of web users with a specific data profile. It’s efficient, targeted and promises juicy returns. 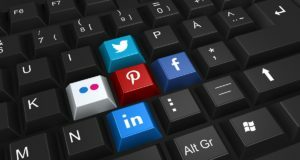 On the other end of the spectrum, ‘free’ social media marketing can also provide a huge ROI for very little effort. It’s highly recommended for small businesses. Any growing business should consider this form of marketing, as well as some of the more expensive but higher-return marketing options, as they continue to expand. After all, marketing is about the multi-layered approach. But it’s generally agreed that affiliate marketing is one of the best ways to boost your exposure and brand recognition in the opening quarters of your business’ development. Even inside the confines of this specific type of marketing, there are several different techniques that you should keep abreast of. For instance, you can affiliate with either a huge online store – the likes of Amazon or eBay. Or you can affiliate with an individual with a publishing platform that they maintain and update themselves. These two extremes offer you different opportunities to sell. You should operate at both ends of the spectrum if possible. The second element to next-level marketing is to analyze the sales generated by each and every affiliate you onboard with. In that way, you’ll learn more about your customers, and you’ll learn more about what makes them tick, and what makes them click. These conclusions will feedback nicely into your future marketing decisions as your company grows. There’s no doubt that affiliate marketing remains a relevant, helpful and risk-free alternative to more ambitious and costly marketing campaigns. It’s low-cost regarding time and investment, and it essentially guarantees increased sales, profits and exposure. It’s one of the best bets for small businesses in 2019.